It’s been 8 weeks since my surgery, so I thought it was time for an update. 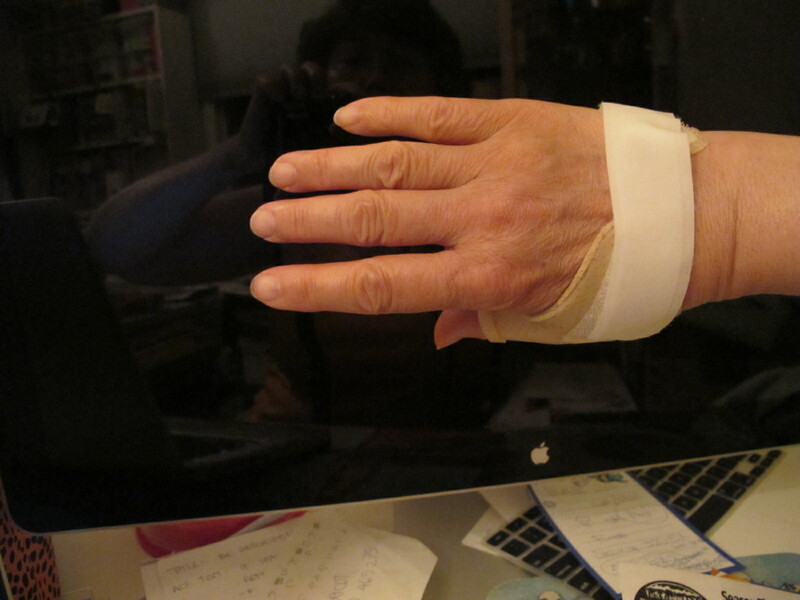 I met with my surgeon, who seemed less than interested in my hand now that his job is done. He seemed anxious to pass me off to physio. No problem. I’m an adult and I don’t need him looking after me forever. (I can’t be rude and insulting to someone who will probably operate on my left hand at some point in the future.) I was looking forward to starting the real work of making my hand functional. I was scheduled to start last Friday but the appointment was cancelled – extremely upsetting! 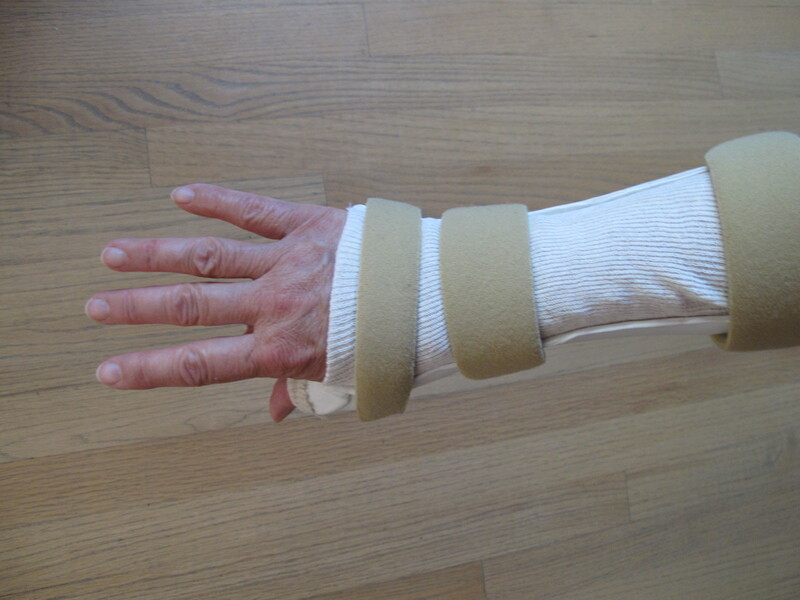 I did have an appointment to have my splint checked, so I prevailed upon the occupational therapist to supply me with some basic exercises. At least I could get started in the right direction, since it will be an additional 2 weeks before my first official physio appointment. No one seems to be in a hurry but me. 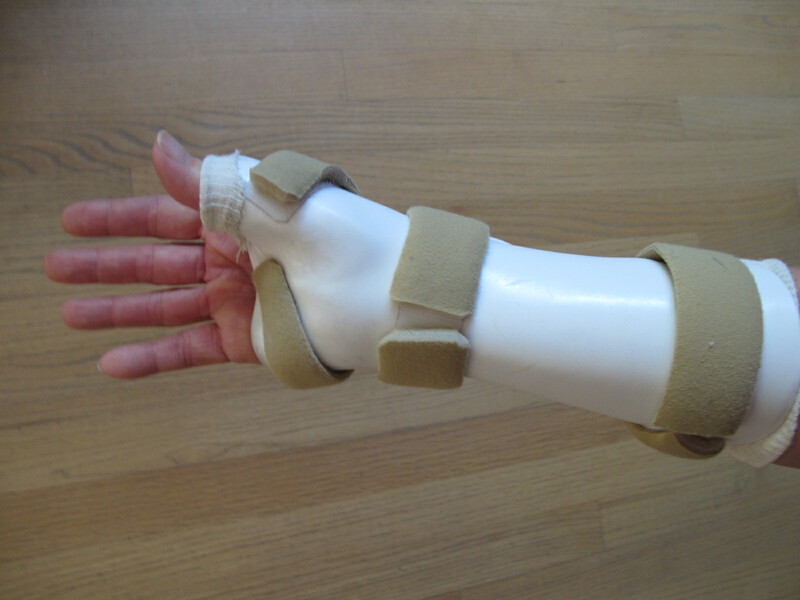 By the way, here’s the custom made splint I now have, now that I don’t need to wear it all the time of course. I need to wear it when I’m doing heavy work, like gardening, shopping, housework (like that’s going to happen), and travelling. I tend to bang into things when I travel, so I need the protection to be able to relax. 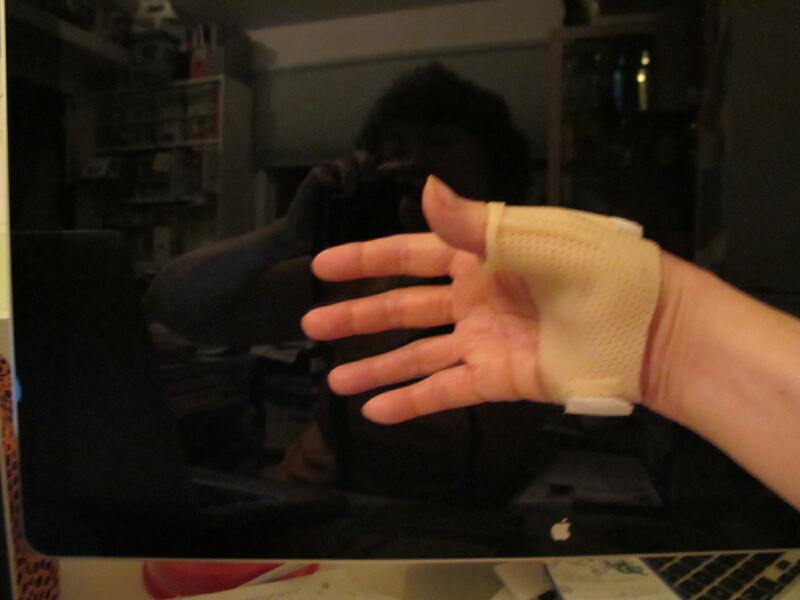 I also have a little mini splint that protects my carpo-metacarpal joint. This one I wear for anything less strenuous where I need a little support. Perfect for working in the studio. I should mention that I’ve also since met with my “other” daughter, Julie, to get more advice on stretches and exercises for my thumb. Julie is studying physical therapy at U of A. Now I just need to get one of my children to learn massage and I’ll be laughing!